RidersWest December 2013 eNewsletter: Looking for some cool products? Manitoba ATV clubs gained ground this past summer on issues of participation, public image, awareness and infrastructure. 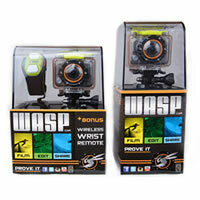 One of the newest action sports cameras on the market, the WASPcam (WASP stands for Wide Angle Sports Photography) is a versatile and easy-to-use camera that is capable of recording high definition videos in either 1080p, 960p or 720p and shooting still photos in up to five megapixel resolution. 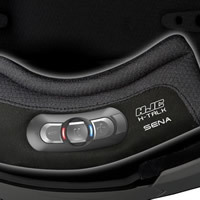 Soon, motorcycle riders will be able to buy an HJC helmet with a Bluetooth communication system from Sena Technologies Inc. built right into it. The two companies have formed a partnership to create the all-new H-Talk system. Ice, water, rock, muskeg and mud are no match for the Argo 6X6 Frontier 580. 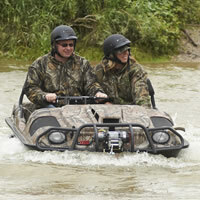 This amphibious UTV is designed to handle the most extreme terrain you can throw at it. 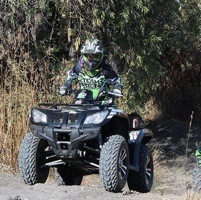 Plus, it’s designed to be more stable than a traditional ATV or UTV. 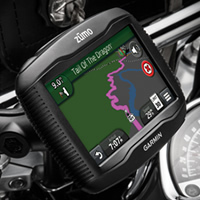 Garmin International Inc. certainly raised the bar for other GPS units on the market with its new zūmo 390LM Motorcycle Navigator. Released in September 2013, the zūmo 390LM is loaded with smart, rider-friendly features. It’s official. Red Bull Canada has just released the dates for next year’s Red Bull X-Fighters World Tour and the season opener will be in Mexico City on March 14, 2014. This year’s final round of the Women’s AMA National EnduroCross Series—which took place on November 23, 2013, in Las Vegas—saw for the first time, a Canadian being crowned as champion of the series.